The Central Dinaric Alps have been a natural border between the coastal towns of the Adriatic and highland trading cities and settlements along the Ottoman caravan routes to istanbul. 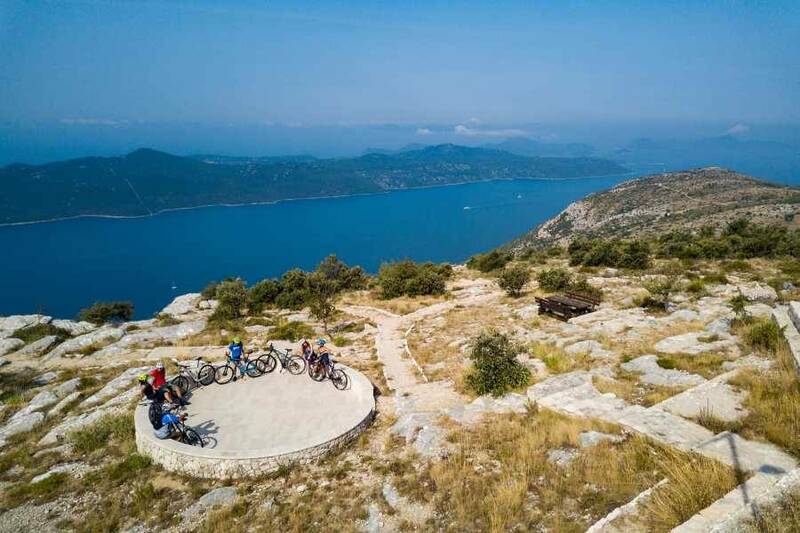 Few have been to the region and even fewer have cycled the old Roman, Ottoman and Austro Hungarian routes connecting the Croatian coast with the Bosnian highlands. This is a challenging guided and fully supported cycling trip on mainly paved and secondary roads. Only the last day do we cycle into Sarajevo on dirt mountain roads that functioned as a lifeline to those stuck and surround in Sarajevo in the last conflict. This trip is for those interested in finding out more about the diverse cultures in the Western Balkans and Bosnia and Herzegovina. 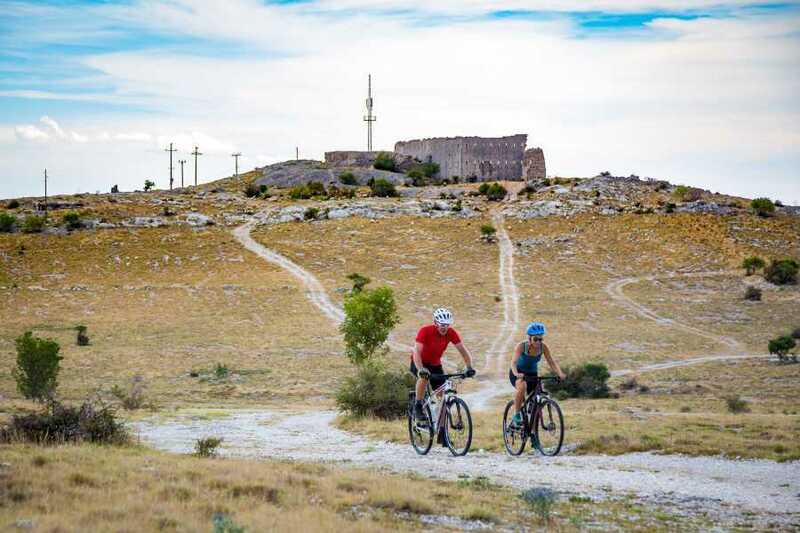 Immersing themselves with their bikes into the rich history of the region, while treating themselves to a great workout and lots of authentic food and drink. Individual arrival to Dubrovnik’s Cilipi airport, which is about 13 miles (21 km) away from the Dubrovnik Old Town. After checking in the hotel, we set out to explore the old town and the ancient walls surrounding a myriad of cobbled alleyways lined with beautiful stone houses and an occasional church and museum. Meals: Welcome dinner in the Old Town. Today’s first cycle tour is in the Konavle valley, located about a 20min drive away in the southernmost region of Croatia. Bordering Bosnia and Herzegovina to the east and Montenegro to the south, Konavle is known for its pine and cypress forests, vineyards, olive groves, and old watermills. We’ll cycle along small quiet and narrow asphalt roads dotted with many small villages. It’s a perfect start of our trip with great riding along the valley, tasty local fare, and an opportunity for a late afternoon swim in the clear blue waters of the Adriatic. Let our Dinaric Alps adventure begin in style. We end the day in Cavtat, with a short transfer back to our hotel in Dubrovnik and dinner in the bustling old town of Dubrovnik. From the busy region of southern Dalmatia, we head to the quiet foothills of the Dinaric Alps to Bosnia and Herzegovina. Our transfer to the Bosnian border will take us about 30 minutes, after which we begin our ride along Popovo fields. This area flooded regularly in the past and as a result, most of the old villages are located up on the sides of the dry limestone mountains and ridges. We cycle along old train tracks repurposed as village roads. The sun is high as we settle into our lunch spot at the entrance of Vjetrenica, one of Herzegovina’s largest underground limestone cave systems. After our tasty picnic lunch, we explore the first 500m/1600ft of this stunning and cool cave system. Having cooled off we set out to Tvrdos monastery to warm our hearts and bodies with both spirit and wine. The visit of the Orthodox church is sobering and full of quiet introspection. However, our moods are soon changed by the cellars and Tvrdos’ excellent red wines. Having sampled the wine and mezze, traditional savory finger food, we end the day in the Trebinje, Southern Herzegovina’s unofficial capital. Accommodation: Overnight stay in Trebinje. This is our first cycling day with a serious climb. From the old trading town of Nevesinje we steadily climb up to the plateau of Podvelezje at the base of Velez mountain (1,969m / 6,460ft). Velez is named after Veles the Slavic god of earth, waters, forests and the underworld and overlooks Mostar like a sleeping giant. We are now entering the Dinaric Alps and staging point of many Roman roads deep into the dark interior of Bosnia and Herzegovina. We enjoy a light traditional lunch in one of the villages on the plateau, before setting out on an exhilarating descent down to Mostar and the famous old bridge. The views of Mostar are stunning and with each completed hairpin turn the city offers a new perspective of its ancient secrets as one of the main trading posts in the Mediterranean. Taking your bike across the bridge at sundown and under the call of prayers of the many mosques in the city, we are gently reminded that this day too, however fabulous and full of impressions, must come to an end. Accommodation: Overnight stay in Mostar. We conquer and explore Mostar sites in the early morning hours before setting off to Boracko lake, a Glacier lake situated at the foot of the Bosnian Himalayas. Here we start our ride along the old now paved caravan road over Prenj, Visocica, and Bjelasnica mountain ranges. The day is long and hot, with a steady and strenuous climb to the pass over Visocica. We pass medieval tombstones, monuments of Bosnia’s medieval history, and a reminder of what once was a Kingdom stretching all the way to the Dalmatian coast. At the end of the day, we have one last short climb before we roll into the village of Umoljani. A place teeming of history and legends, watermills and good hearty highland fare. You have arrived in the heart of the Dinaric Alps. Today’s ride is full of highs and lows. 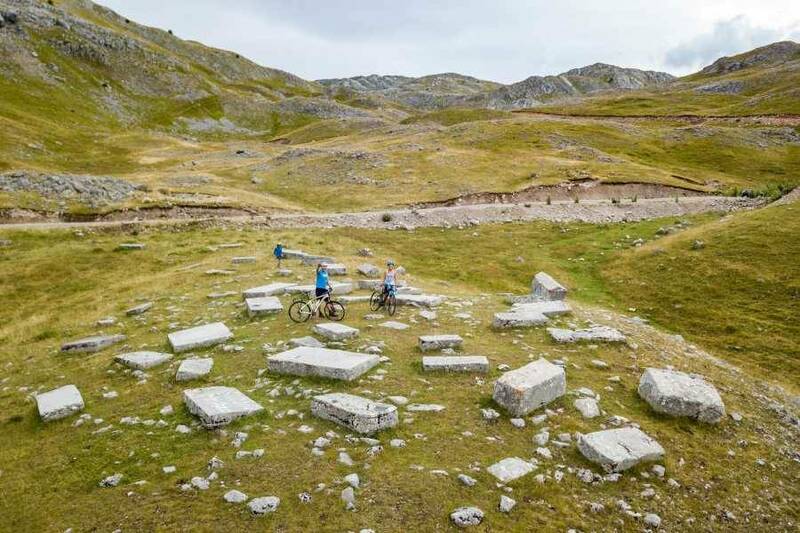 We cycle below Bjelasnica’s highest peak which hosted the 1984 winter Olympics men’s’ events. The area is now a favorite winter sports destination for locals waiting to be discovered by the rest of the world. From the open rocky plains and peaks of Bjelasnica mountains, we head down the thick pinewood forests of Igman. Igman too hosted several winter Olympic events, including the ski jump and cross country. Igman, however, was also the only lifeline into Sarajevo during its 1000 day blockade in the conflict raging through Bosnia and Herzegovina at the beginning of the 90’s. We will take the exact route over Igman into Sarajevo as many Sarajevans did. 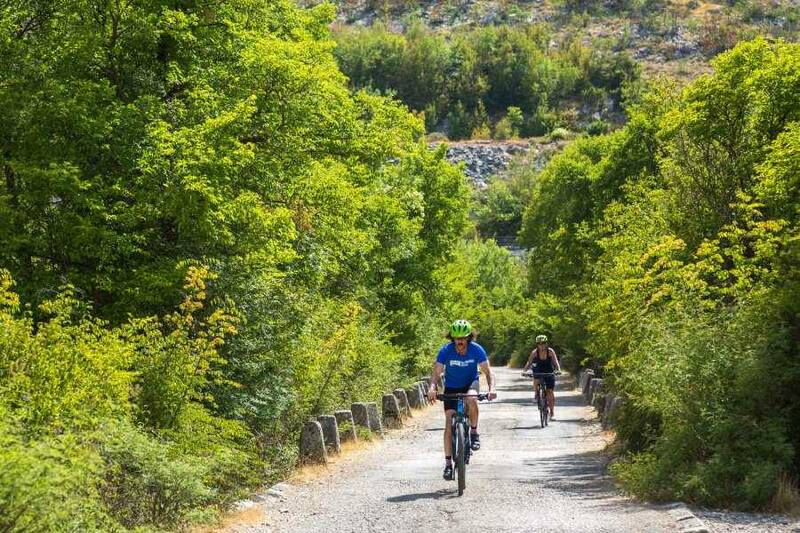 We will also cycle, time to permit, directly to the tunnel which connected the mountains with Sarajevo proper. This will be a time of reflection of the days we cycled from the Adriatic into the heart of the Dinaric Alps. A day for taking stock of all the cultures of the region and why the Western Balkans is a truly wonderful destination in Europe. A day to stand still at the resilience of the region, its people, and this ongoing feat of reconciliation and development. Bosnia has a lengthy, tumultuous history. One of the most oriental and culturally diverse cities in Europe, Sarajevo spent over 400 years under Turkish governorship until the Austro-Hungarians arrived in the late nineteenth century. Fifty years later, the empire collapsed when Archduke Ferdinand was assassinated here, hastening the outbreak of the First World War. In the late twentieth century, Sarajevo hosted the Winter Olympics (1984), only to crumble once again a few years later in a 4-year siege by Serb forces amidst the break-up of the former Yugoslavia. Options: Price is per person, double occupancy; -Single rooms are available on a request basis at certain places; -All travelers will be paired with a same-gender roommate when a roommate is available. Bike rental is included in this price. Participants who bring their own bike get a reduced price by 125EUR. The bikes will have flat pedals. If you want to bring your own pedals, please bring your own shoes and also the necessary equipment to change the pedals. The guide can assist you in attaching them to your rental bike. It is required to wear helmets on this tour. In order to guarantee optimum protection, we request that you bring your own helmet and – for your own safety – wear it on all bike tours. A limited number of helmets are available to rent, at the time of booking, though it is highly recommended to bring your own helmet. Helmet rental is additional €5 per day. 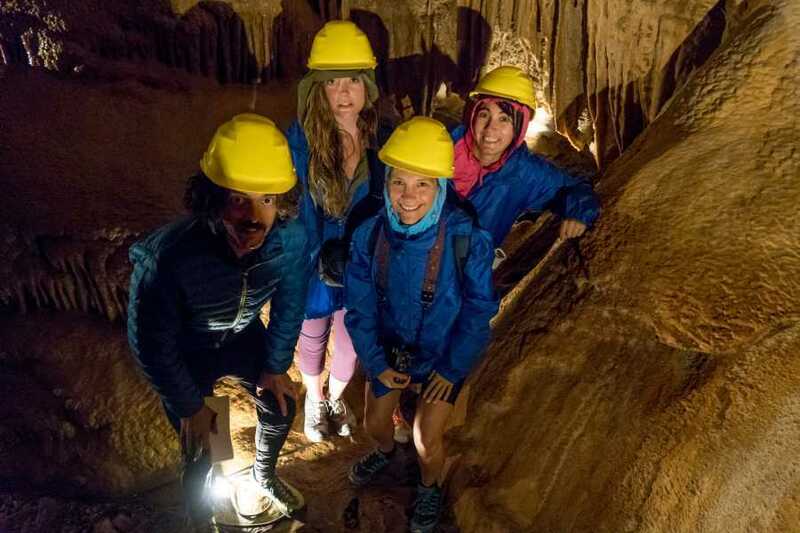 Can be paid upon booking or directly to the Trip leader at the place. Terrain and route: 80% on quiet regional and village asphalt roads. Great riding mostly on a mix of narrow vehicle width tarmac and some regional roads. 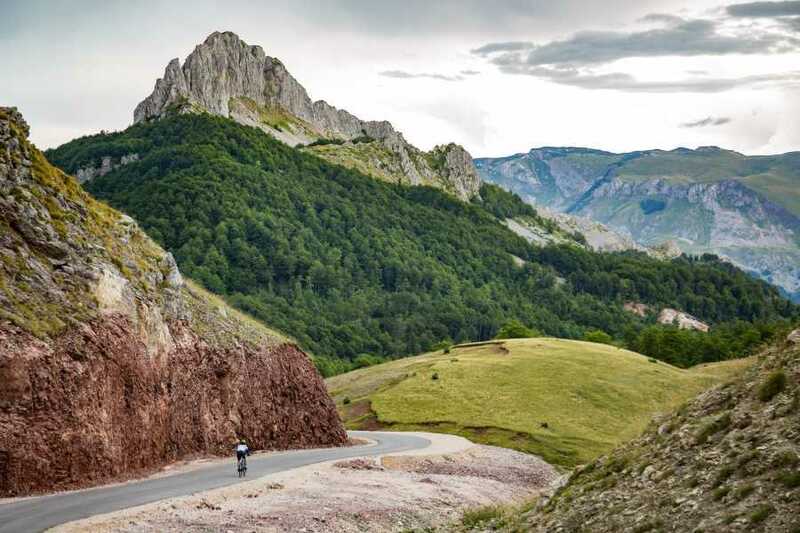 The ride is mostly undulating with several long climbs (up to 1000m) and fast descents with stunning views of the region’s’ karst mountains, and the surrounding town. 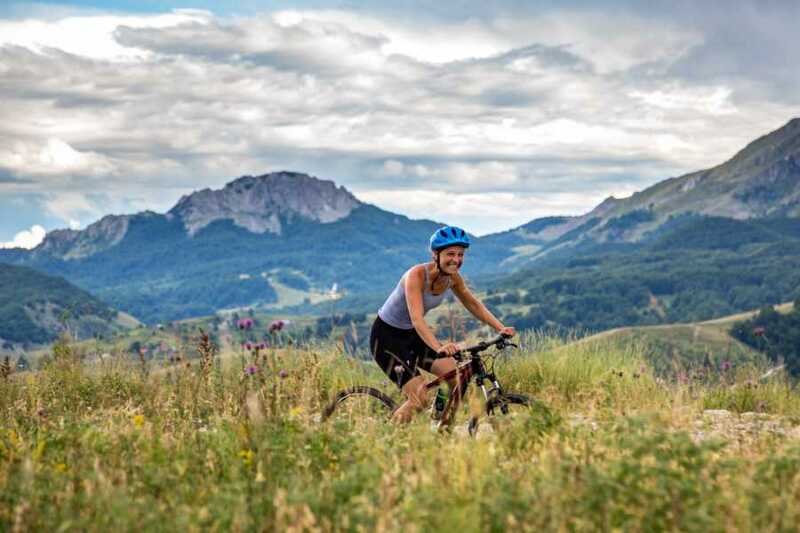 Biking experience advisable and a good level of overall fitness is essential.This cycle tour requires a good level of fitness from all participants, which should be acquired from spending time on the bike. The routes will go up to a height of 657- 1,640 feet (200- 500 m) above sea-level, with mileage from 24- 36 miles (39 – 58 km). The terrain will be hilly and mountainous, but the rides are completed without any time-constraints. There will be some long and steep climbs, during which you can push your bikes or be assisted by our vehicle support. It will be primarily on asphalted roads, which have very little traffic during the season. Only on your last day of riding will we be on mountain gravel roads 75% of the time. You can either decide to rent a hybrid/mountain bike or bring your own bike for this tour. You will need to decide this in advance of the tour.